I am often struck with how little I know. And when I say struck, I mean struck with a debilitating blow. All those years of education, all the hours upon hours of learning, a curiosity about the world and its people…and there is SO MUCH that I don’t know. Even some of the things I once knew are no longer there. For example, last night I wondered why squid have ink, apart from the cool factor involved with being able to serve squid jauntily perched on top of squid-ink pasta in some kind of animal-kingdom-meets-culinary diptych. And you have to realise to what point I am exposing myself publicly to even admit such a wondering. I mean, I did gaze off into middle field and think that they probably have ink for protection reasons…and I was right in a sort of vague way. Squid have a sac, a bit like a bladder, and when threatened, their muscles contract and then release an ink-like liquid which carries their scent so as to confuse their predator. So there you go. Tick. One of the many areas of knowledge, (or its absence) I struggle with is art. In the face of the collective creative enigmatic theoretical force known as ART, I feel small and slightly stupid. I like looking at art and reading about it and thinking about it and what it makes me think about and I like talking to people who know about it and who make it and I like wondering about what it must feel like to be creative and skilful and to translate the idea from their heads to the paper or canvas or object or yet to be formed substance…but from the outside looking in at me, I HAVE NO IDEA, and I don’t like that this is the case. I went to the Heide Modern Art Museum and Sculpture Garden on Sunday. The four year old whose art exhibition featured in a previous post went into the exhibition with his dad. 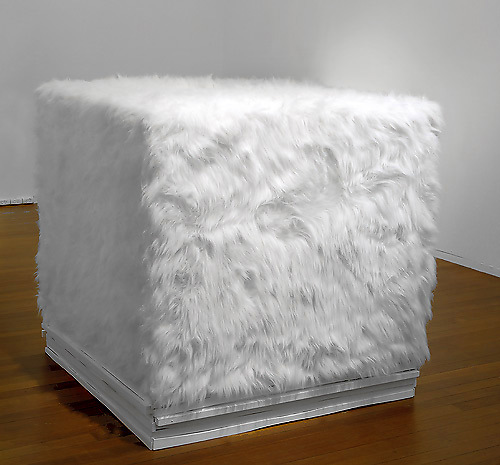 Apparently, the aforementioned four year old was a bit taken aback by some of the pieces and asked one of the gallery attendants how the white fluffy cube was art. The attendant didn’t have an answer. I’ve been thinking a lot about his question. Because I didn’t go in and see the exhibition for myself or do any sort of preparatory research, I didn’t make the connection with the Less is More sign, which was the name of the exhibition. Nor did I realise there was a minimal art movement. Well, maybe I did, but it hadn’t sunk in to a part of my consciousness where I owned that piece of knowledge to the point where I could apply it in any sort of meaningful way in this context. Or perhaps any context. 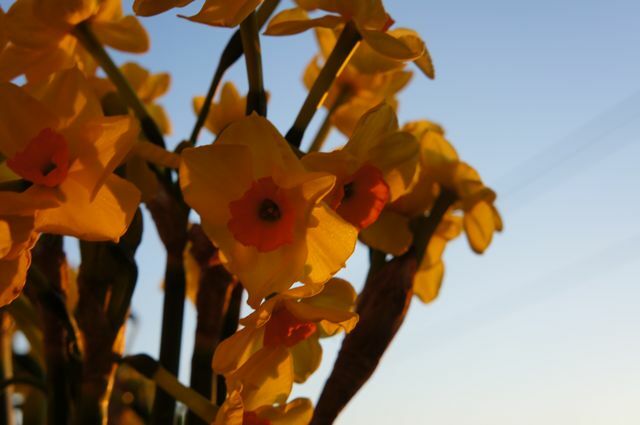 like dimensionality, shape, material and an engagement with real space. “It isn’t necessary for a work to have a lot of things to look at … its quality as a whole is what is interesting,” Judd said. I didn’t realise that ideas related to the art object’s relationship to architectural space and the role of the spectator, (ideas that I actually have been thinking about lately…no, really…but in a very vague, oh hey, I’m aware of the space the artwork is in and isn’t that interesting sort of way) are ideas that came from Minimal art, or, at least from discussions and theories on this movement. I’m not really sure I can explain to my nephew that the sensuality of synthetic fur softens and transforms the minimalist cube, or why Kathy Temin’s White Cube might be called Fur Garden. But it did occur to me, that if we don’t give something the label of ‘art’, then we don’t have to question its validity or how it fits in with what we think of as art, but we can just have a personal response or gut reaction to it. My nephew might still think…’that’s just silly’ and wonder why a cube has fur on it, but he has such an amazing imagination that without the burden of the label, ART, he might be able to come up with a really cool name for it or wonder what other ‘plants’ in the fur garden might look like. How a 4 year old already has such distinct, and, perhaps, snobby ideas on art, I don’t know. Especially considering his father was a sculptor before he became a film-maker. But already his wings are clipped, if not by his parents, then by some pervading social idea of what ‘art’ might be. Melbourne is slightly obsessed with rhinos. 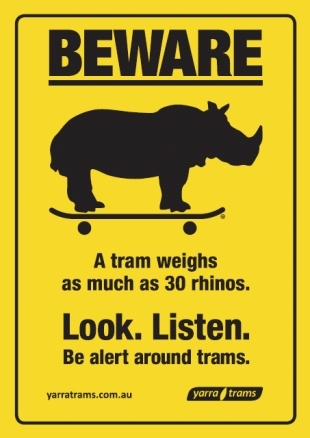 They are part of a campaign to warn distracted pedestrians of the dangers of willy nilly wandering onto tram tracks. They appear on graffitied walls. 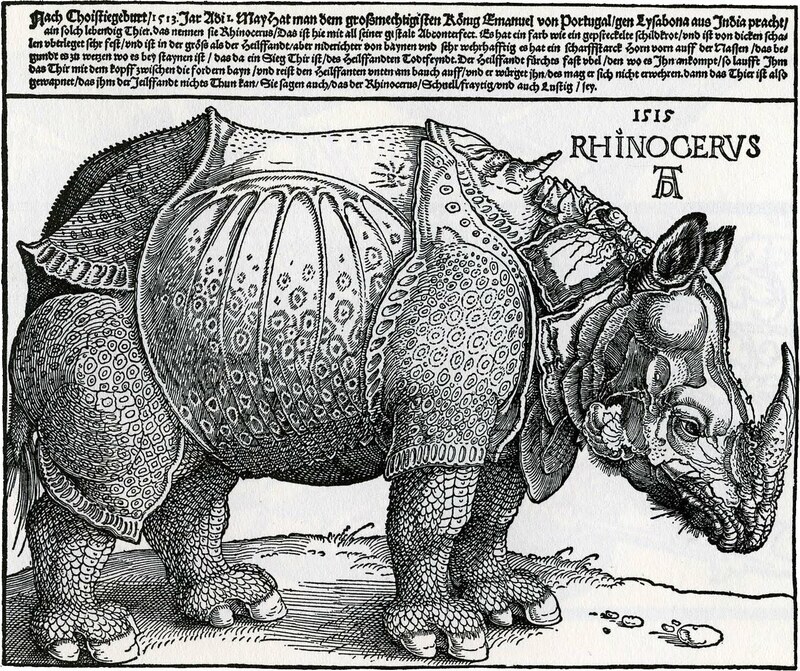 They appear…(or, in fact, not appear, as the fragility of the 500 year old Albrecht Durer wood cut of a rhino means that it is kept safely)…in the vaults of the NGV. I’m not quite sure what the connection is between Melbourne and the rhinoceros, but as the African Zulu proverb says, do not speak of a rhinoceros unless there is a tree nearby. Hawk and Hunter. Is it a cafe, a milk bar, a providore…What IS a providore? Well, let me tell you. 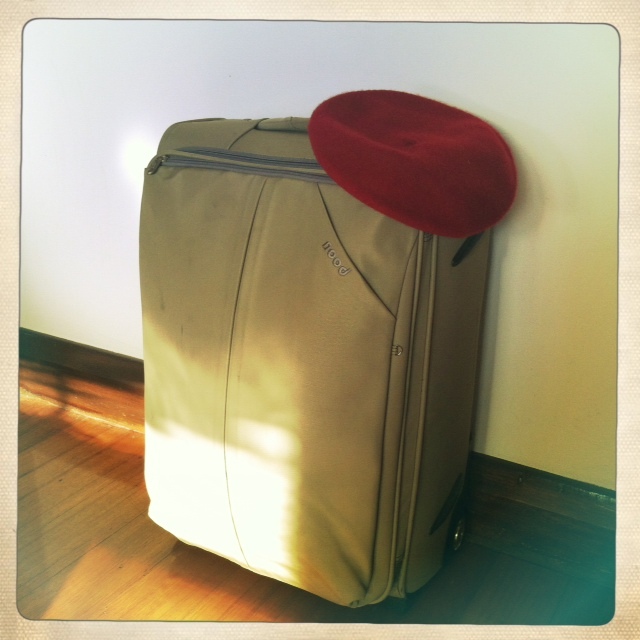 A providore is one who makes provision. So yes. And H & H does provide. It provides a new hipster hangout, a haven for the harried, a haunt for handicraft…by which I mean art…there’s emerging artist’s work on the walls, I was just consumed by the alliteration. And speaking of walls, they are all exposed brick, industrial chic wonder. But I am hiding Hawk and Hunter’s actual charm beneath the bushel of my wordiness. It’s good. 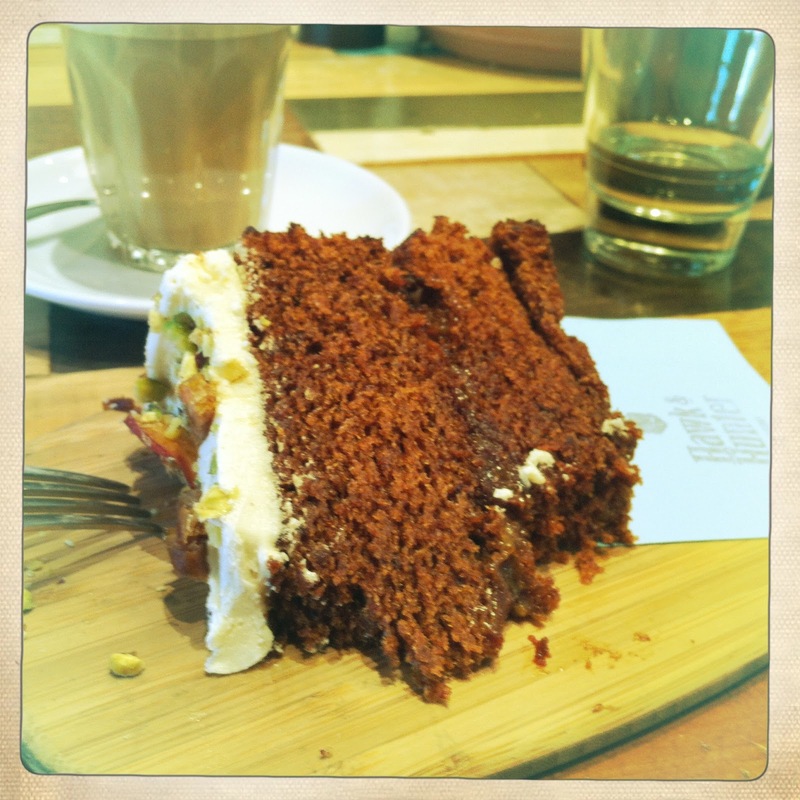 Friendly, staff, good coffee, nice-looking menu and delicious cake. 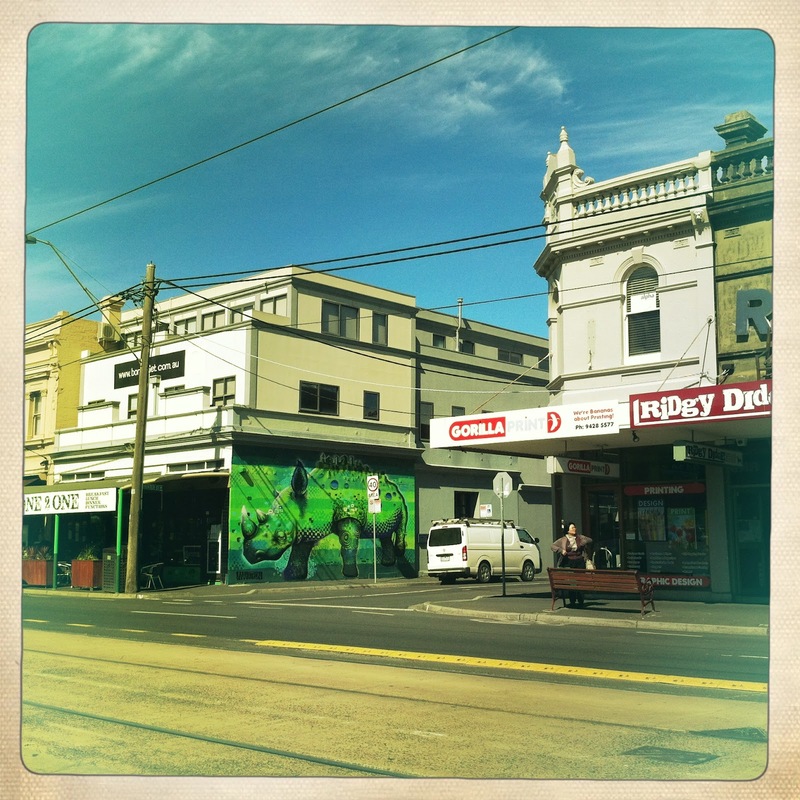 Ripponlea, just opposite the train station.